I’m going to level with you. I have been overspending. A LOT. It’s been a mixture of reasons, including getting married and starting to merge our finances. Suddenly, I’m on a much stricter budget than I was before because it’s not just me now. I have Peach’s student loans to consider (which we’re paying off very aggressively) and we’re putting a lot away each month for our honeymoon as well as other savings goals. We each get a discretionary spending budget each month, but I’m frankly used to spending more than that sum. It has been a real struggle for me to scale back on the lifestyle I’ve been used to living. Oh, and now we’re moving in March, which is four months earlier than we expected and had been budgeting for. Suffice to say, I need to do something to recalibrate. Savings needs to go into hyper-drive while spending needs to get reined in. In order to really clamp down on my spending, increase my savings and, most importantly, hold myself accountable — I’m hosting a No-Spend Challenge! CHALLENGE: No non-essential spending for the month of February + run the Tracking Every Penny budget. WHEN: February 1 – 28, 2019 (Yeah, that’s right, I picked the shortest month! GOAL: Increase savings for a short or long-term financial goal as well as seriously evaluate how you typically spend your money during the month. Make it personal & specific: E.g. Peach and I are moving to a new apartment in March, so this is a great way for us to save a little money for what will be a very expensive upcoming month! I’d like to save an extra $300 in February by cutting down my spending so we can put that towards the new bed we can’t wait to buy (our current one broke years ago…). Join the No-Spend February Challenge Facebook group in order to have accountability and support buddies! BUT WHAT DOES “NO-SPEND” REALLY MEAN?! Non-essential spending is going to be different for all of us. We all need to pay our bills (rent/mortgage, student loans, cell phone, insurance etc), so there will of course be some spending! But that’s essential spending. Then you can start to split hairs over what counts as essential. For example, Peach and I use a laundry service each week because it saves us about two hours of time on the weekends (NYC living means no washer/dryer in our apartment). I will still be using the laundry service during this month because my time is the more valuable asset. You also need to consider the implications on your social/professional life. As many of you know, I’m a New Yorker and my social life catching up with friends and even networking often revolves around going out for drinks or dinner. For that reason, I’m adding a caveat for $25 per week that can be spent on networking-only socialization. My friends will be accommodating to just do free things for a month. Plus, it forces me to be super frugal and creative again like back in my early, super broke New York days! Tracking Every Penny budgeting style is outlined in my first book Broke Millennial. It means you write down every purchase you make. Not just how much you spent, but also what you spent it on. This will allow you to go back through and audit your purchases to see if everything is truly essential and keep tabs on how much you’re spending during the challenge. (Normally this budget helps you identify patterns of mindless spending.) The easiest way to do this is just keeping tabs in notes on your phone. But you could also save receipts and write it in a spreadsheet at the end of the day or week. Just looking back at credit card or debit card statements can be tough because you don’t always know what you purchased. Groceries – Peach and I will continue to buy the same quality of food we normally buy and our grocery budget likely won’t go down. We just will need to be better about meal prep in order to avoid the temptation to eat out. Vacation spend – okay, so I didn’t do a great job timing this because Peach and I have a trip planned to L.A. in February to visit my sister. So we will be spending money there. However, we’re going to set a daily limit/overall spend budget and we also save into a separate savings account for travel so that trips don’t come out of our regular budget. HOW TO FOLLOW ALONG & PARTICIPATE! Create your own guidelines for approved and banned spending. Join the No-Spend February Challenge Facebook group in order to have both accountability and support buddies! Feel free your own guidelines in the No-Spend February Facebook group or solicit feedback. I will providing daily updates on my Instagram stories about my own progress, which you can following along at @BrokeMillennialBlog. Get creative! 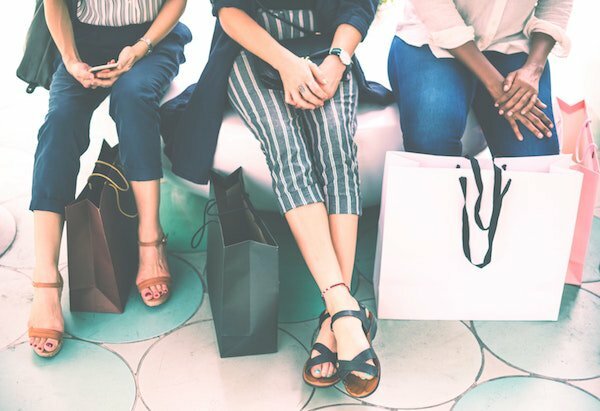 This provides an opportunity to really find unique ways in which you can spend time with your friends, partner and yourself without spending. Be sure to share all your tips and tricks in the FB group! Get the newsletter! Sign up for my newsletter and receive support, updates and my own accountability records.